Hello Linux Geeksters. As you may know, the first Ubuntu phones are the BQ Aquaris E4.5 Ubuntu Edition and the Meizu MX4 Ubuntu, but Ubuntu Touch is officially supported also on the LG Nexus 4 device, while some unofficial Ubuntu Touch ports for OnePlus One and LG Optimus G are in the works. 1200 is not a big number, but the situation is not bad either. At launch, Android had only a few native apps, but now it has the largest app collection, among the mobile phone platforms. 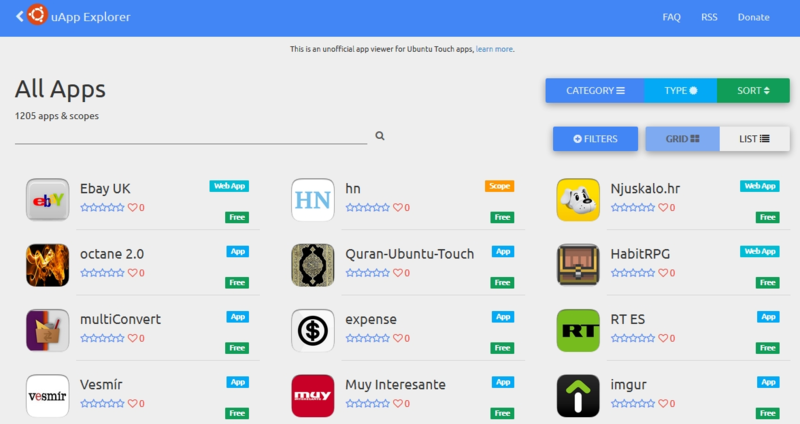 For now, Ubuntu Touch does not have an official App Store, but there is an unofficial one that allows you to view all the available apps.